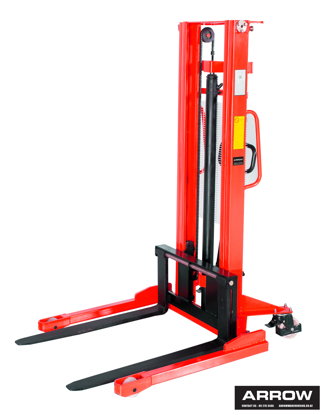 This hand stacker uses a simple hand pump to lift to a maximum height of 1.6 metres. 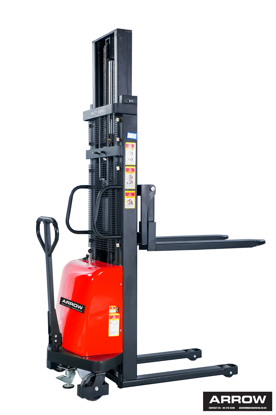 It is moved by manual pull power. 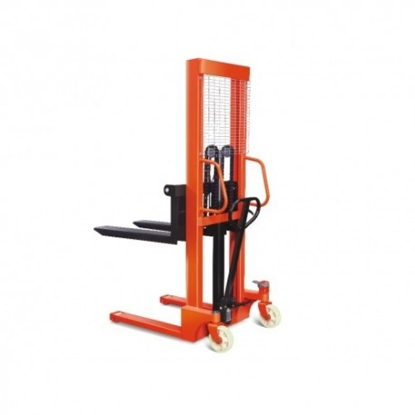 This hand stacker uses a simple hand pump to lift to a maximum height of 3 metres. It is moved by manual pull power. 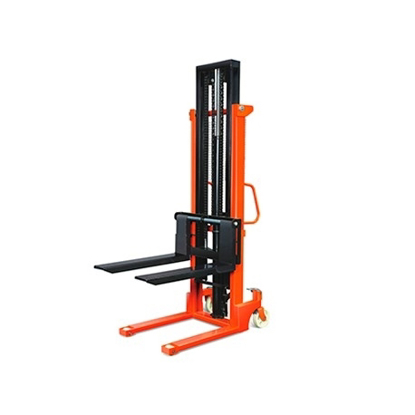 This hand stacker uses a simple hand pump to lift to a maximum height of 3.0 metres. It is moved by manual pull power. This 1 tonne electric Self Propelled Stacker uses a battery-powered hydraulic to lift up to a max of 3 metres. It is significantly faster than manual pull power. and a travel up to 4.5 KPH with a simple controller.